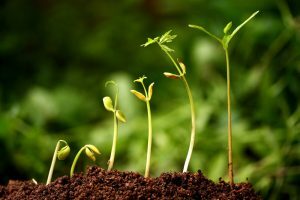 Breathe New Life into your Body – Naturally! The implications of this amazing technology for our present and future health and well being is quite exciting. If not outstanding in our opinion. However, please note that this is not the same ‘process’ or ‘principle’ as breathing in oxygen from an oxygen bottle! The ‘process’ of utilising oxygen and benefiting from this is completely different, and under scientific testing has been shown to be far more effective. 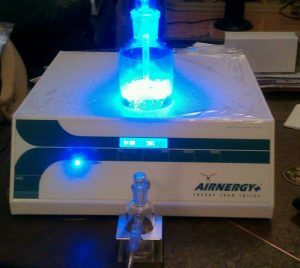 Airnergy is a portable, compact machine for use in the home and clinic that creates ‘energised air’ following the principle of Photosynthesis. This patented process allows the Blood to carry more oxygen, cells to utilise oxygen more efficiently, both of which increases cellular oxygenation and intra-cellular ATP production that is essential for optimum health and cellular repair and healthy regeneration. 1. Boosts energy levels making you feel stronger, fitter and faster. 2. Increases your concentration, mental agility, making you more alert. 3. Strengthens your immune system to fight infection and disease. 4. Stimulates your circulation, heart, lung, and brain function. 5. Reduces stress, tiredness and the effects of chronic illness. More oxygen in every cell results in an enhanced immune system, reducing vulnerability to disease and illness and improving the body’s capacity to fight existing health conditions. Research shows that just one 20-minute Airnergy session leads to significant changes in the blood, and an increase in the function and efficiency of the heart and lungs. Short 3 minute introduction video: What credentials does AIRNERGY have? 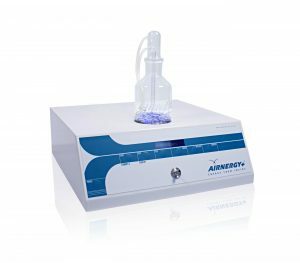 Airnergy technology uses one of nature’s processes which has existed for millions of years, i.e. 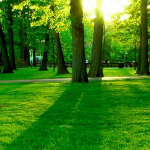 photosynthesis in green leaves. This ensures that oxygen is activated in a way that is converted to ‘energy’ which is inhaled as ‘energised air’ which your body understands and responds to, enabling increased assimilation and utilisation of oxygen from cells and organs to skin. Improve energy levels. stamina and lung function. Feed all the cells in your body to support healing and repair and healthy cellular regeneration. Supports every biological system of the body, including but not limited to: Cardiovascular, Endocrine, Musculo-Skeletal, Digestive, Neurological and most importantly, the Respiratory System. Relief for all symptoms of COPD, Bronchitis, Asthma, Emphysema and much more. Similar to water, warm or cold, liquid, gas or solid, oxygen also has various properties. Warm water dissolves materials such as sugar or salt crystals quickly and in larger quantities because warm water is highly reactive. Cold water only dissolves such materials at a slow rate and in smaller quantities because cold water has low reactivity. Oxygen also has various properties: the oxygen present in respiratory air is not reactive. In order to make the oxygen utilisable for producing energy in the body, the body must first bring the oxygen into its reactive state – the singlet state. However, as the body’s ability to use the oxygen diminishes with increasing age, through stress, illness and environmental toxins the body requires energy in order to improve its performance and therefore its healing and regeneration processes again. Airnergy helps the body to increase its use of oxygen in a natural way. In the Airnergy device the air’s oxygen is continually returned to its high energy state (singlet oxygen) which is the physiologically active form of the oxygen that the body is familiar with. This enables a patent-protected process to take place which is technologically adapted from the natural processes of photosynthesis. The short-lived singlet oxygen returns in a fraction of a millisecond to its basic state and therefore gives off energy. The water molecules in the respiratory air take over this energy which is then inhaled through a comfortable breathing mask together with normal respiratory air. In the organism the “Airnergy energy“ noticeably improves the way the oxygen is used and has a positive effect on many of the body’s functions – without an additional supply of oxygen and without foreign substances. Dr. K. Erpenbach: Conclusion COPD study – Under Airnergy respiratory therapy, COPD patients experience a marked improvement in their exercise capacity (walking distance, stair-climbing), an improvement in their lung function and a reduction in the inflammatory activity of the disease. None of the patients experienced exacerbation of the COPD during the follow-up observation period. Airnergy works at the most fundamental level, within each cell in the body. † It produces a form of energised oxygen that is more easily absorbed and utilised by every cell in the body. Thus Airnergy produces more energy in every cell and therefore the whole body. † This energised oxygen promotes the creation of anti-oxidative enzymes at cell level, reducing the production of harmful free radicals and optimising the body’s immune system. Reduction of harmful free radical formation in cells is required to optimise health and combat disease. † After just one 20-minute Airnergy session, the efficacy of the device can be measured immediately. A simple heart rate variability test will show an improved efficiency of your nervous system and an improvement in your heart’s ability to respond to challenge and stress. 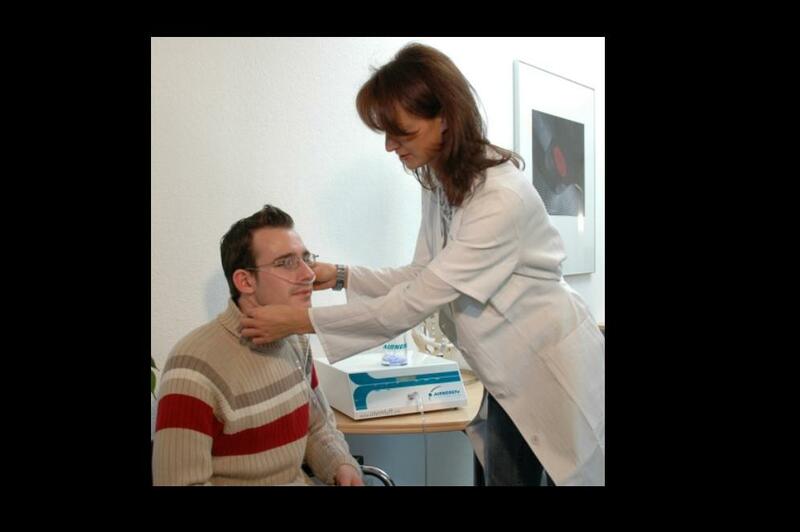 A peak flow test can also show improvement in lung function. Please view this longer more explanatory video explaining and outlining many of the health benefits, which, to be honest, are quite remarkable. Please contact us for more information as the manufacturer prohibits the publication of prices on the Internet. This may seem suspicious to some, but it is to avoid Distributors from complaining to the manufacturer that other Distributors (in other countries) are selling the Units cheaper than they are. Please note that the Price of each Unit in the UK is stable across the board. However, in other countries this allows businesses to sell the Units at prices that comply with their own marketing and profit budgets. Some may charge more and some may charge less depending on individual overheads and personal ethics.